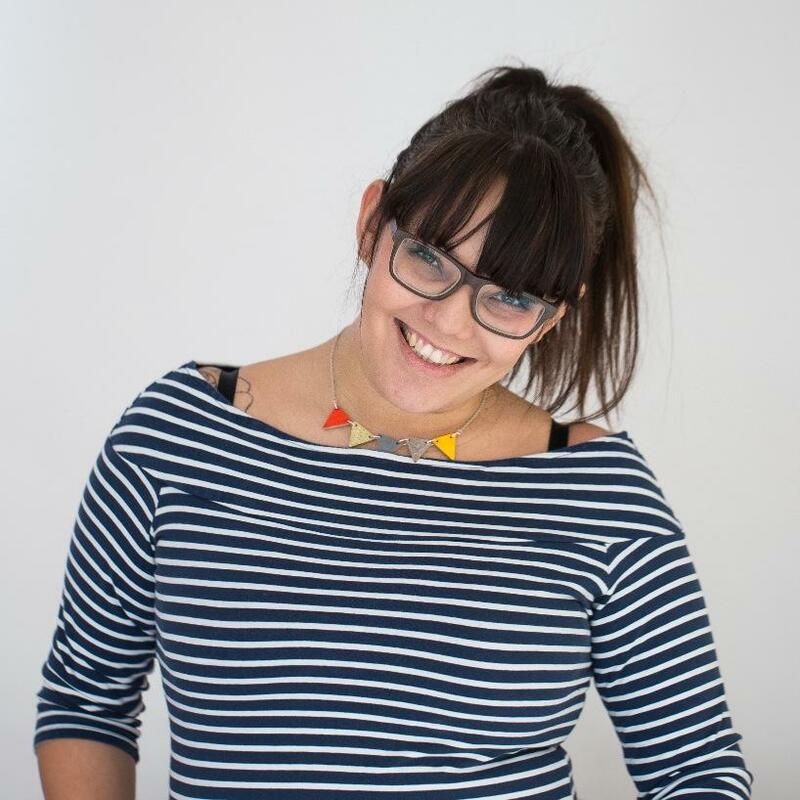 Author bio: My name is Sam Cleasby and I’m from Sheffield, I was diagnosed with Ulcerative Colitis in 2003 and had a Colectomy and Ileostomy in 2013. This blog is about support, real life stories and information along with fun, laughter, honesty and terrible arse jokes. It is about improving self esteem and positive body image in everyone, it is about loving your body, celebrating your awesomeness and being proud of who you are. Glad you wrote that. People should not assume anything!! I’m so sorry that happened to you. 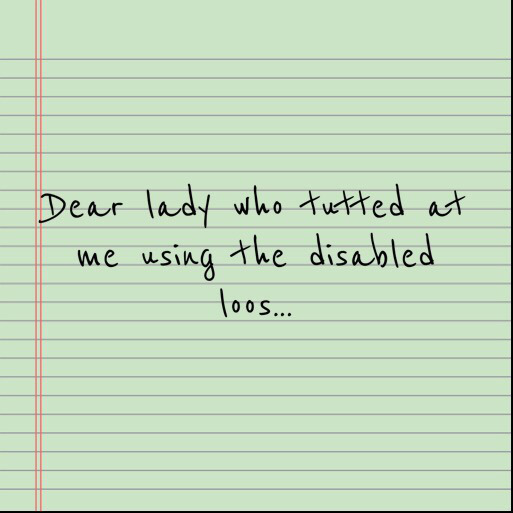 I’ve known enough folks who had ‘unseen’ disabilities where nosey parkers felt obligated to preach at them because they ASSumed…. A dear friend of mine has a sister with MS. This lady cannot bend her knees and needs a wheelchair most of the time. When she went into a handicapped stall, a woman rapped imperiously on the door, demanding to know why she was using ‘her’ stall. Just about to leave the office and head home for a weekend with the family. Because you cannot see it, does not mean it is not there. I have scleroderma, my fingers are covered with calcium deposits and they are horribly painful, since you can’t see them (unless you look closely) and they are small, I should not be on disability. Sorry for your experience. My father had a bag as he had no bladder left having los it to cancer, we often had to go in to assist him! My deepest sympathy goes out to you my friend. I agree, many folks lack compassion and need a wake up call. I have similar experiences with parking too especially as my disability support does not include a blue badge any more. As you say thoughtless gestures often add to an already humiliating experience. people should not have to wear a badge to be treated with respect. Unfortunately some people do not take the time or have the maturity to realize that many disabilities are not visible. My heart goes out to you and your daughter for the embarrassment you must have felt. But, I suppose that is not the “kind” course of action. Thank you for sharing your story so that others might become more enlightened and aware of the plights of our fellow humans! A long time back I remember reading how Ajahn Sumedho (a Senior Theravada Buddhist Monk) had once said something to the effect that Metta (loving-kindness) could be a hug OR a slap! Just reading your write-up here. I am so glad that you spoke up about this, fair play to you. People need to know this, it is amazing though that people are not more sympathetic or sensitive towards each other. Wishing you the best and hope you do not come across more ignorant people. It is important to not make judgments! Good post! We had a similar situation at the DMV. We qualified for a special ticket for a window which served people with disabilities, making the DMV process quicker. When we were called to the counter, the woman serving us was extremely rude to us and made a comment about “abusing the system” under her breath (never mind some of the rude glances from onlookers) until I calmly and quietly explained that my daughter (there for a very necessary photo ID) had an acute/severe mental illness that was cycling and large crowds/noise greatly exacerbated psychosis. She apologized and rushed us through. Thank you for reminding others about invisible disabilities. I’m glad you are comfortable enough to be yourself. People can be very rude and insensitive. I’m sorry you have to deal with the judgment. i am often misjudged because I have an invisible illness. I guess it is a good thing that people get upset when the handicap restroom or parking space is used by someone who looks “normal” but it doesn’t make it any easier when we are misjudged. I was not aware of this kind of suffering. Even so, I don’t think anyone should make remarks about someone using the handicapped accessible stall. If there is not a handicapped person waiting, why should others wait for an ordinary stall when that one is free? It is not the same as a parking space where distance and inability is involved. A wonderful article! I too have felt this pain. I have a degenerating spine and severe arthritis, neither of which are visible, but both of which cause incredible pain and difficulty in walking any distance. Even though we have a ticket in the car for parking, we still get smirks and dark stares plenty of times. Thank you for speaking out. Being judgemental is not a good trait, as in most cases those that do are not aware of all or in deed any of the factors regarding the situation they are judging. This article was a very good lesson on why we shouldn’t jump to conclusions in judging people. Thanks so much for sharing.